Got What it Takes To Be Manhunt's Folsom Model? Do you love showing off at Folsom Street Fair every year? Want to be seen by millions of guys around the world and get even more attention? Then get your gear out and take some pics, because Manhunt and Folsom Street Events have teamed up to search for the next Manhunt homepage model for 2010's Folsom Street Fair. Sacramento’s Rodeo Team made an impressive showing at Fort Lauderdale’s Sunshine Stampede as they hone their skills for the upcoming Sierra Stampede. The Sacramento Rodeo Competition Team that made it to Fort Lauderdale for the April 17 rodeo consisted of Sammy V., Sacramento John, Jeff Barr and Wild Wild Wes. Sacramentan Ted Ross will be honored at this year’s Sacramento Equality Awards, that will also recognize the work of Assembly Speaker John A. Pérez and openly gay Bishop V. Gene Robinson. Ross is a veteran leader in the fight against HIV/AIDS in Sacramento and will be honored for his work helping to establish and sustain the Center for AIDS Research, Education and Services, one of only two comprehensive HIV/AIDS treatment facilities of its kind in the entire country. There’s an old saying that when people are being judged, it’s what’s on the inside that counts. The way we look, the way we talk — those things don’t really matter. 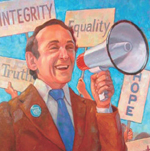 If Harvey Milk were here, he’d probably add that people shouldn’t judge each other based on sexual orientation either. A handy way to judge Milk himself might be by his accomplishments, and anyone who wants to get a good look at what Milk has achieved should take a trip to the California Museum of Women, History, and the Arts in Sacramento. Ugandan Bishop Christopher Senyonjo to Speak Against “Kill The Gays” Bill in Uganda. Bishop Christopher Senyonjo, chaplain of Integrity Uganda, has launched a speaking tour in the USA to denounce worldwide homophobia and Uganda's "anti-homosexuality bill” which could lead to Senyonjo's arrest for his support of the LGBT community. 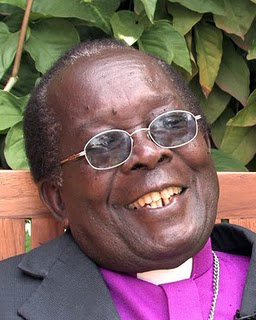 Bishop Senyonjo will be in Sacramento on May 17 & 18, and will speak at Trinity Episcopal Cathedral, located at 27th & Capitol Ave., at 6 p.m.
Senyonjo, one of the few Ugandan Anglican bishops or priests who strongly condemns the bill, calls it a gross violation of human rights. He is a married, grandfather of 11, and will visit California, Minneapolis, New York and Washington, D.C.
Could the Next Supreme Court Justice Be a Lesbian?